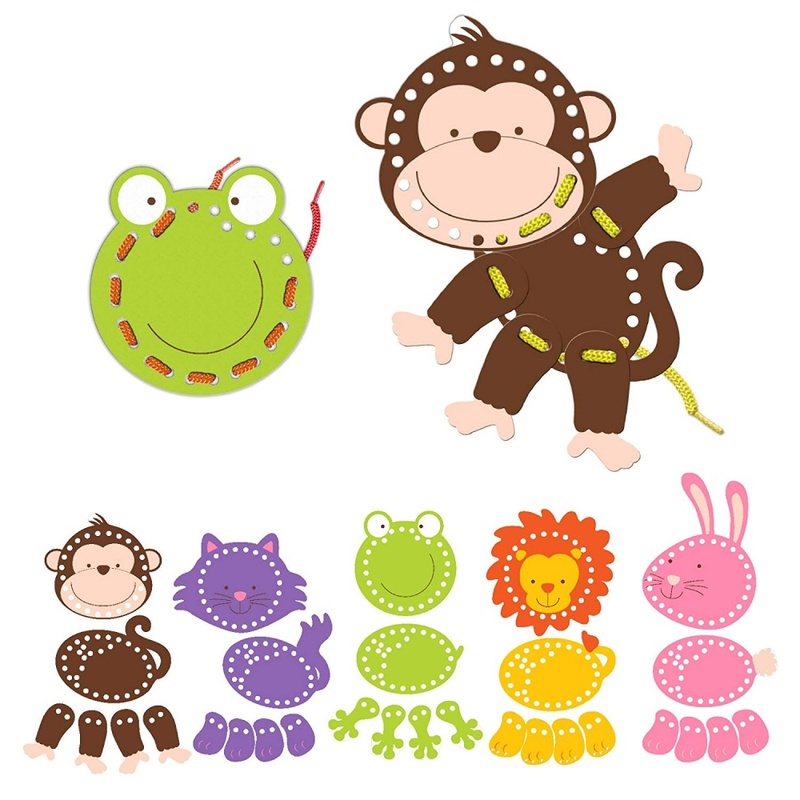 Five different coloured animals, a Green Frog, Purple Kitten, Yellow Lion, Pink Rabbit and Brown Monkey all with matching coloured laces. 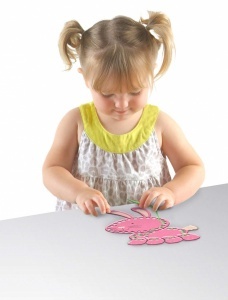 Perfect for developing fine motor skills, hand-eye coordination, concentration as well as counting and learning colours. Hours of fun to be had, ideal pre-school toy. 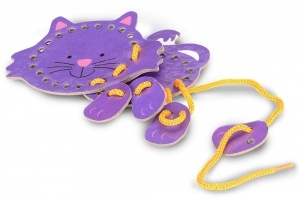 Since 1990, Fiesta Crafts have been designing and manufacturing special toys which help in the important development of physical and mental skills with educational value. 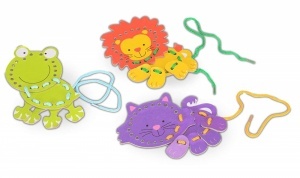 Fiesta Crafts was the first company to be awarded a Good Toy Guide Endorsement and many of their toys have won prestigious awards. Order before 1.00pm for same dispatch Monday to Friday Standard items are sent Royal Mail 2nd Class or MyHermes for larger goods. 3 - 5 working days. We offer Guaranteed Next Day for urgent orders. 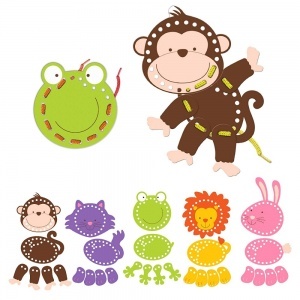 Keep up with the latest toy news and get 10% off your first order. © copyright Planet Apple - all rights reserved.